Earlier this year a Kindle firmware update dropped hints about a new basic Kindle code named Woody, and today it finally launched. The new basic Kindle still costs $79 with ads, only now it comes with 512MB RAM, and is available in both black and white. (The white basic Kindle had previously been available in Asia and Europe, but not the US.) The new model sheds the excess thickness of the 2014 model, and Amazon also dropped the weight to 5.7 ounces. And best of all, it has Bluetooth. This will be the first Kindle to be able to use Amazon's accessibility feature, Voiceview, without the $20 adapter. (The Oasis will likely be the second). The new basic Kindle is available for pre-order now, and is going to ship in the next couple weeks. The Kindle Paperwhite is now also available in white as well in the US and around the world. It had previously been limited to just China and Japan. There's no word on whether it has Bluetooth, though. In related news, Amazon has also mentioned that they're adding a new export option for annotations. The Kindle iOS app lets you export your notes via email, and soon the Kindle ereaders will support that option as well. Export Notes—It’s now easy to export notes and highlights from a book to your e-mail, so you can always have them on-hand for reference. Receive your notes both as an easily printable PDF that’s ready to bring to your book club, and as a simple file you can open in your favorite spreadsheet app. This feature will be available as part of a free, over-the-air software update in the coming weeks. If Barnes & Noble Goes Out of Business, Would Anyone Care? Those look to be about the same dimensions as the Kindle 4. And the white kindle has arrived finally! And new covers that clearly use magnets. The previous basic Kindle covers didn’t close well. I like Amazon’s Kindle line …but… where is Kobo? If they release a new reader I don’t think that it will be until September. I don’t see why so snarky… what has Amazon done lately that is innovative? Adding back buttons? Charging $300 for the same hardware as a $120 ereader? Wow how innovative. I’m so impressed. Face it ereaders have stagnated. There has not been any remarkable change since introducing a light. They haven’t stagnated, they’ve gone backwards. Amazon used to make a 9.7″ device, and another with TTS, that you could add custom fonts to. Sony used to make a 7″ model. E-readers have gone backwards and it’s got real bland round here. What we need is another 6″ Kindle, NOT. You know, the fact that Amazon is still enhancing and adding to their line of dedicated ereaders pretty much gives the lie to the “digital fatigue” line that PW was spinning (as mentioned in your other post: http://the-digital-reader.com/2016/06/21/digital-fatigue-or-the-new-industry-spin-on-ebook-sales/). 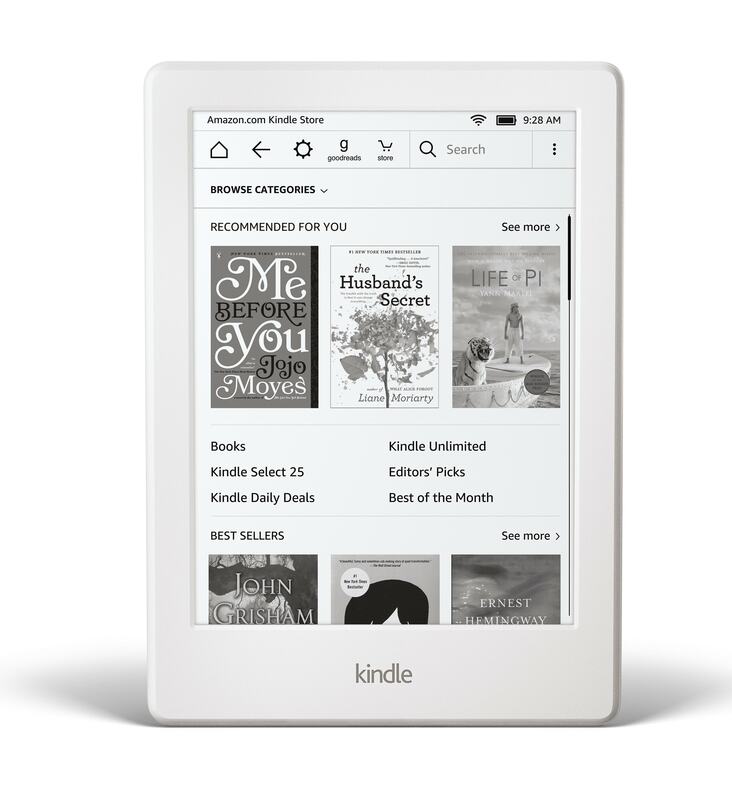 Amazon has more info on who is buying ebooks than anyone out there, and they see to think that the market justifies this level of product development. The Export feature will be nice, and long overdue. I knew they had this for Notebooks (Print Replica) but didn’t realize it worked with ‘normal’ books and documents as well on iOS. Wonder if they’ll get rid of ‘My Clippings’ on Kindle? I cannot see why anyone would need that, and it just takes up space and can (as the file gets large) degrade performance. They are also releasing a white Paperwhite.